Hot list designer Thakoon recently took a large first step into menswear with this collaboration alongside boutique Aloha Rag. 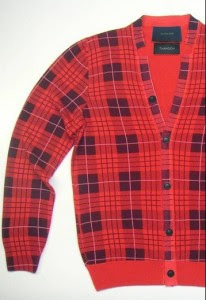 The plaid cardigan comes in both a red/blue and a green/black colorway and will be available in the spring. Retail price will be around $850 USD and it will be exclusive to the New York and Honolulu Aloha Rag stores. While he is not currently working on any menswear for his own line, the quickly ladder climbing designer does hint that we could be seeing it closer than expected, maybe as soon as a year from now.